Frog and toad are most familiar amphibian animal to people. 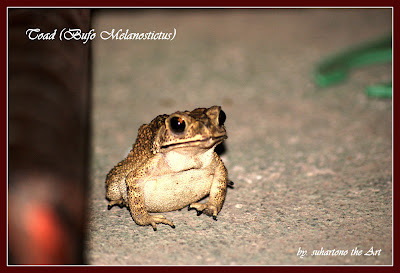 Children usually liking these animals (frogs and toads) because of the funny, often jump up and down, never bite and do no harm. 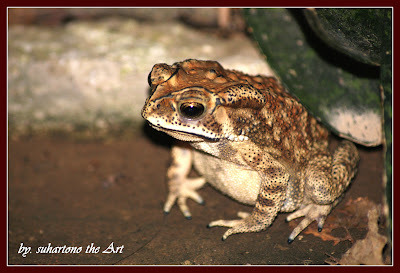 Only the adults who often feel disgust or fear unwarranted against these animal. 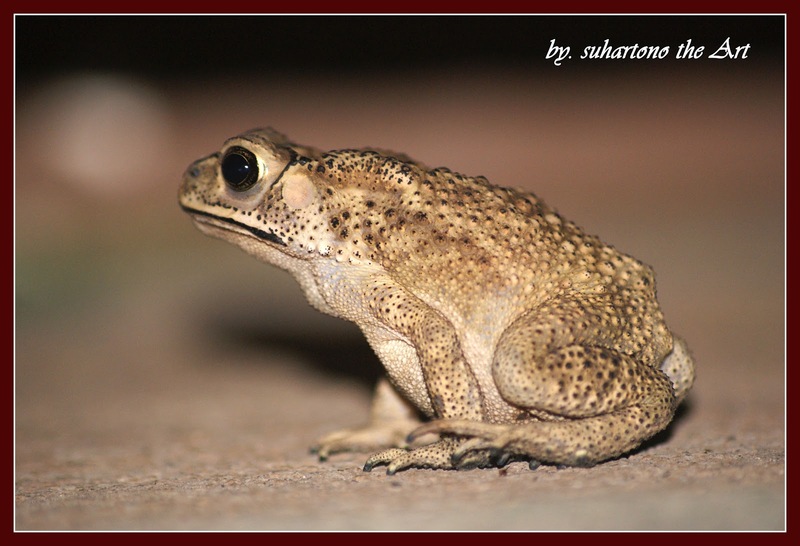 Both of these species have almost similar body shape. Frog was a short, stout or thin, slightly bent-backed, four legged and tailless. 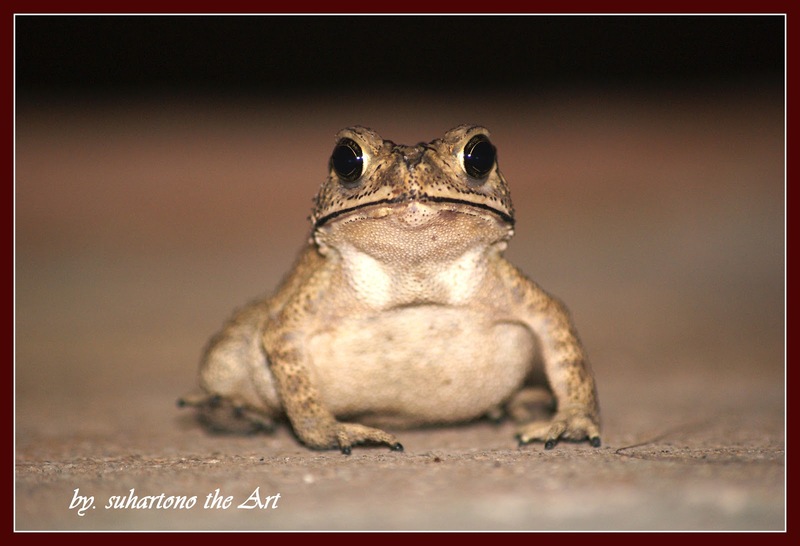 Frogs are generally smooth-skinned, moist, with long hind legs. 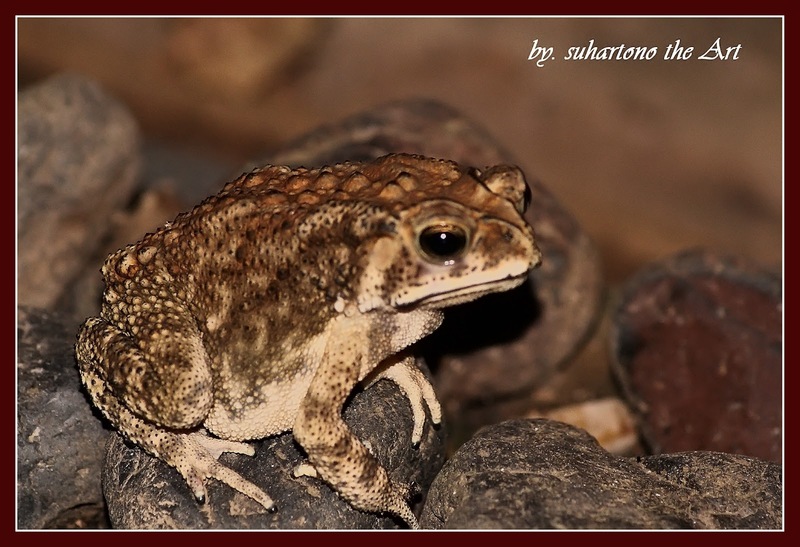 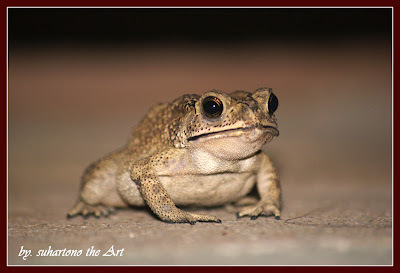 Instead, toads rough-skinned with nodule, often dry, and the hind legs are often short, so that most jumps far less. 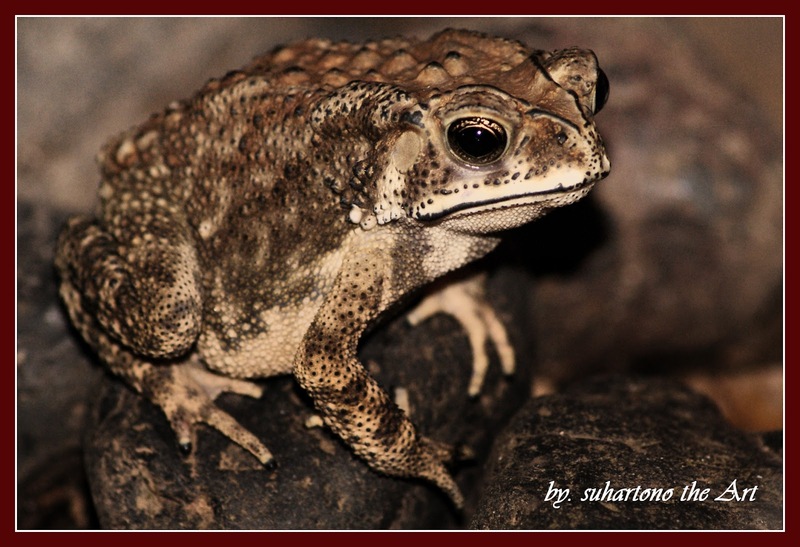 However, designations for both species are often interchangeable. The toad recorded below is unique, where the toad has always stayed at my yard, and not afraid to human or lightning of camera flash (these photos taken at night). Photographs were taken in two periods, in March when the size ± 3 cm (photo-1 to photo-5) and in April when the size grow up into ± 8 cm (photo-6 to photo-8).